How is the PARCC Test Scored? Wondering what kind of questions your child will be asked on the PARCC (The Partnership for the Assessment of Readiness for College and Careers)? Here is a practice test with five examples. IMPORTANT: While the PARCC sample questions shown on this page are representative of what your child will see on the exam, they aren’t taken directly from the actual test that’s being administered this year. Read the following phrase. What does the underlined word from The Ant and the Grasshopper mean? …bearing along with great toil and ear of corn her was taking to the nest. 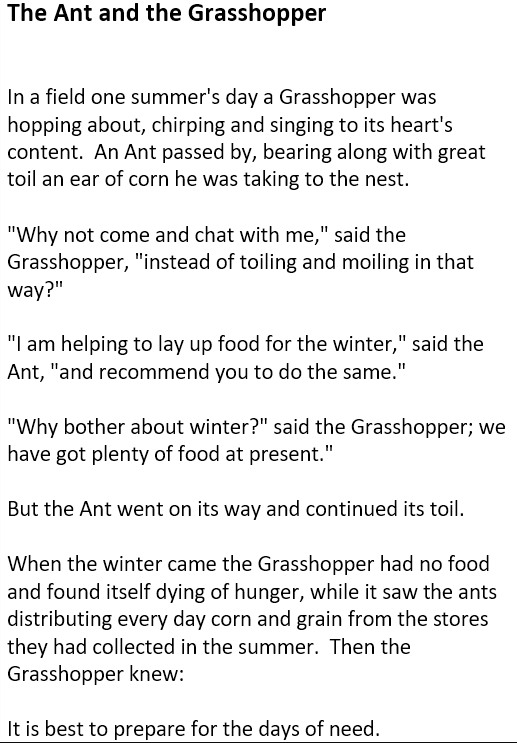 Which of the following analogies BEST illustrates the characters in The Ant and the Grasshopper? If the multiplication expression 2×3 represents the picture below, what other multiplication expression represents the same picture? How many strawberries are in the picture below?